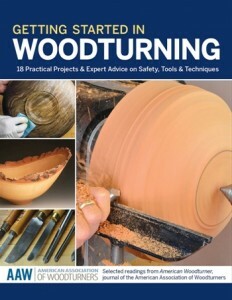 I have written several articles for the American Woodturner the journal of the American Association of Woodturners. I enjoy teaching and writing about woodturning and after 35 years, I hope I have learned a few tricks that I can share with beginners. It is my way of passing the torch on to the next generation. However, I was given a very nice surprise last week. I went to visit a friend that is new to woodturning. When I arrived, he asked me to autograph his book before I left. I asked him what he was talking about. 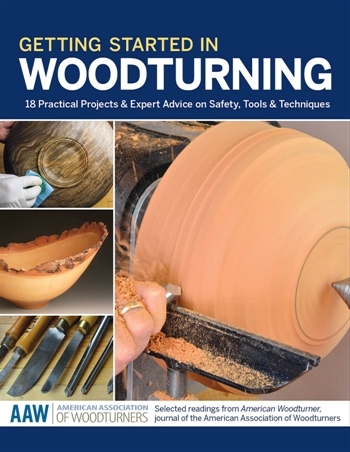 He replied that he had just received the new book published by the AAW entitled Getting Started in Woodturning and I have the first article in the book! Needless to say I was very surprised because they had just released the book and I had not seen it yet. That’s when the panic set in. I had never signed a book before and had no idea what to say. Needless to say, I my hand was shaking because I did not want to make a typo or have a leaking pen which would be normal for me. Anyway, I muddled through it and left Norm a nice little note. Whew! As I end all my woodturning articles… keep your bevels rubbin’. ← 150110 That’s a big spindle shaft!